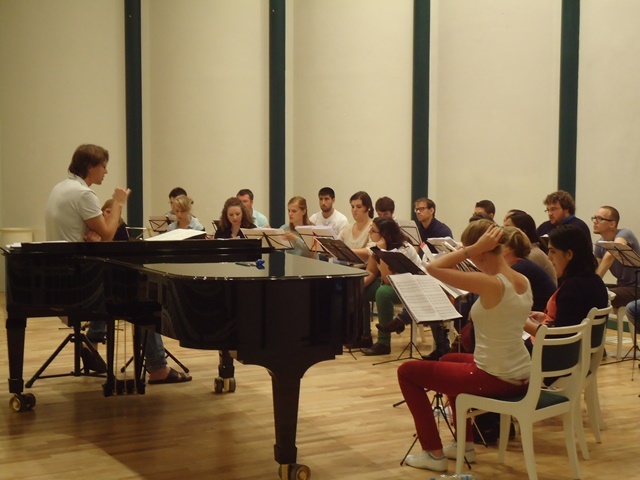 June 2014 : meet the singers ! https://www.tensoeuropechamberchoir.eu/wp-content/uploads/tecc-day-1-site.jpg 480 640 Babette Greiner https://www.tensoeuropechamberchoir.eu/wp-content/uploads/TECC-logo-700x280.jpg Babette Greiner2014-06-08 18:58:402014-06-08 19:32:36June 2014 : meet the singers ! The choir before their first concert in Rīga, showing off their new t-shirts…. And then the choir sang! After an intense week of rehearsing (which included acting, whistling, studying, breathing, laughing, bonding and of course lots of singing! see the short intro film on the news page), the choir took the road for their first concert tour ever. 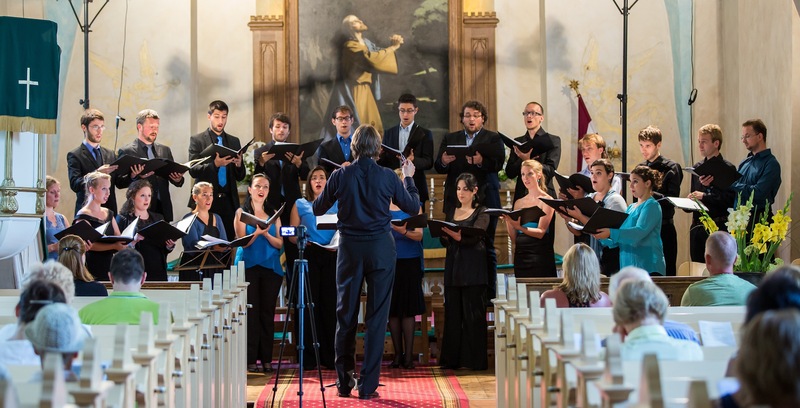 First Sigulda, where we have set our headquarters all these days, then Riga and then Tallin have enjoyed the sound of 24 passionate young singers who have done their best to learn and grow together in this music journey. Now that it’s over we can only keep enjoying all the good moments lived and start thinking about our next encounter. Stay tuned for more info and application opportunities! https://www.tensoeuropechamberchoir.eu/wp-content/uploads/tecc-4.jpg 1506 2953 teccadmin https://www.tensoeuropechamberchoir.eu/wp-content/uploads/TECC-logo-700x280.jpg teccadmin2013-08-11 20:26:412013-08-14 23:34:46And then the choir sang!